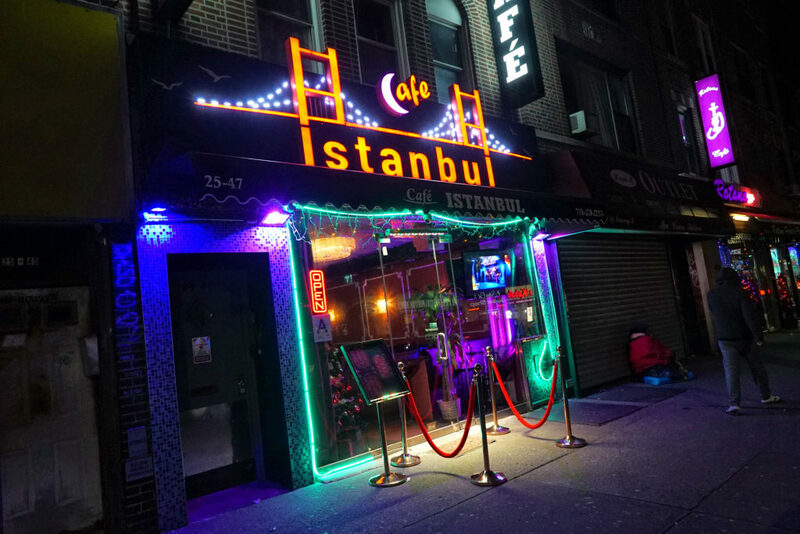 Cafe Istanbul is a brand new middle eastern joint in Astoria that offers late hours, belly dancers, hookahs and great food. The owner, Sonny, is from Bombay, India. His love of food began when his mother inspired him to cook at age 15. Owning and operating a restaurant was his dream. 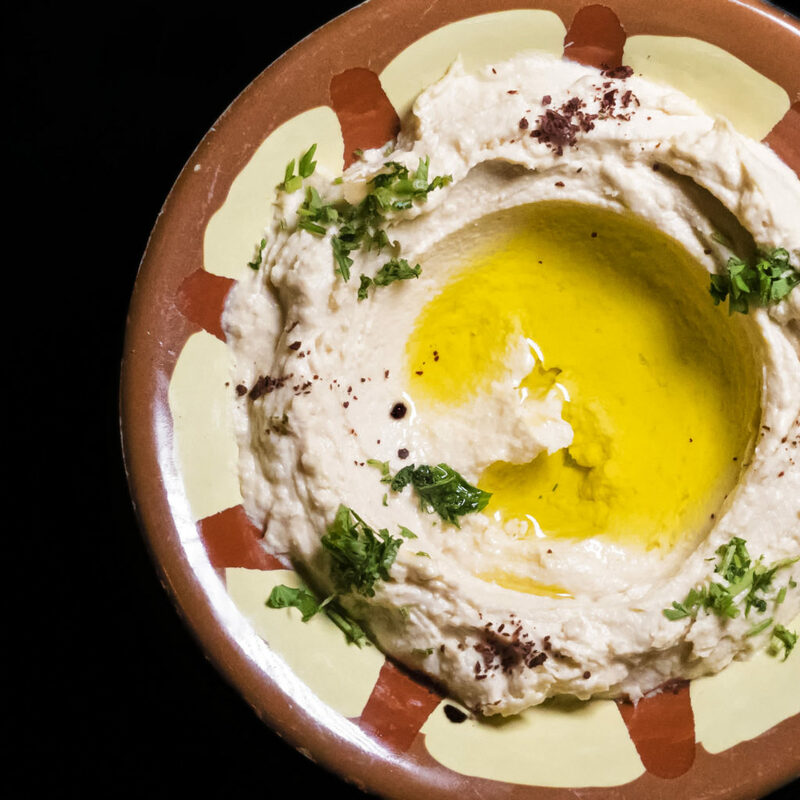 Chef Fathi hails from Egypt. Prior to Cafe Istanbul, he was a 13-year veteran of another popular middle eastern restaurant in Astoria. 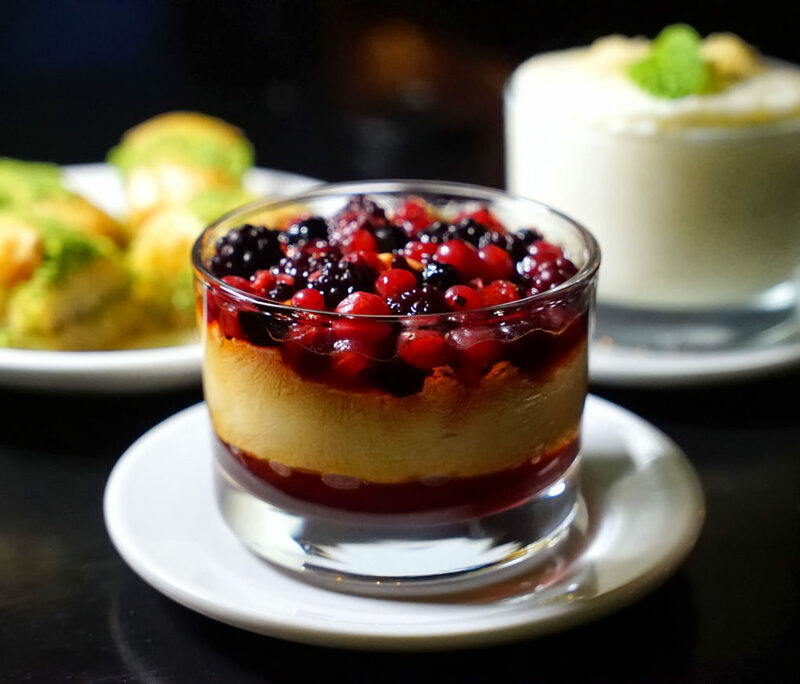 His cooking style is a blend of Mediterranean, Egyptian and Turkish cuisine. 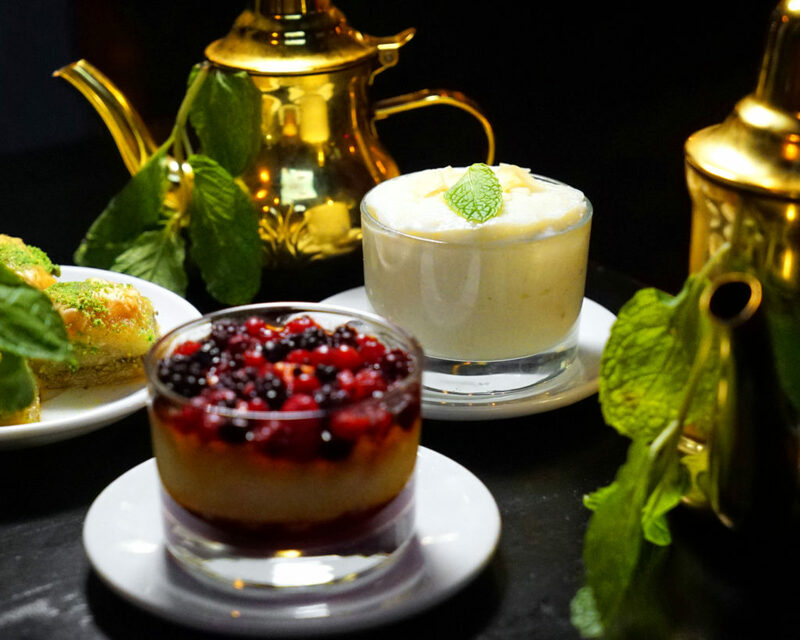 The air in Cafe Istanbul is filled with delicious aromas and the sweet smells of hookah smoke. 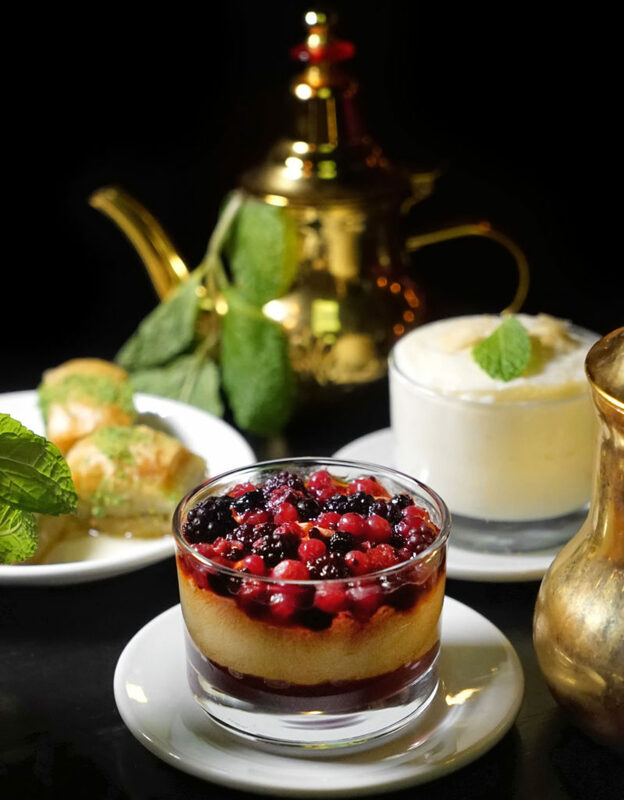 The best move is to get a few different teas and order a hookah right off the bat, that way you can sip and puff throughout the entire meal. 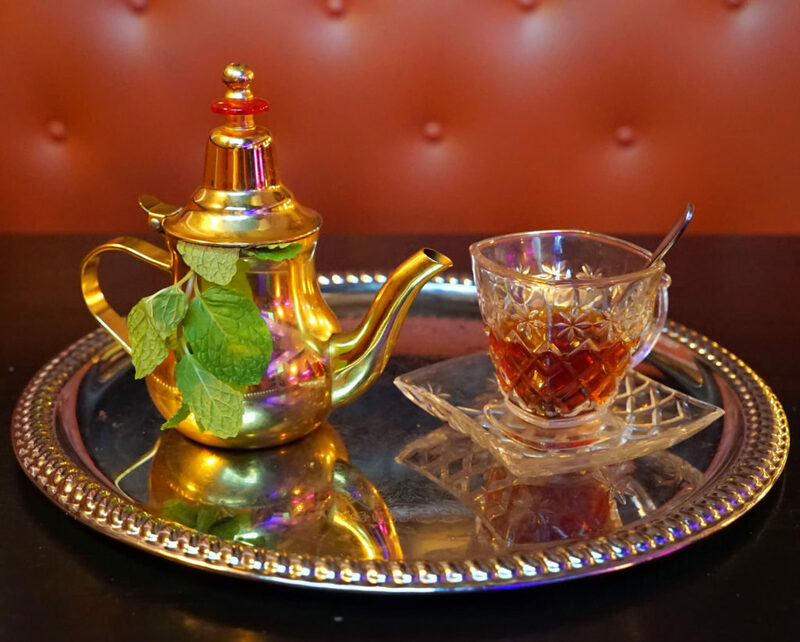 I tried three teas: Moroccan, Egyptian and Turkish. My favorite was the Egyptian, which was similar to a sweet black tea. 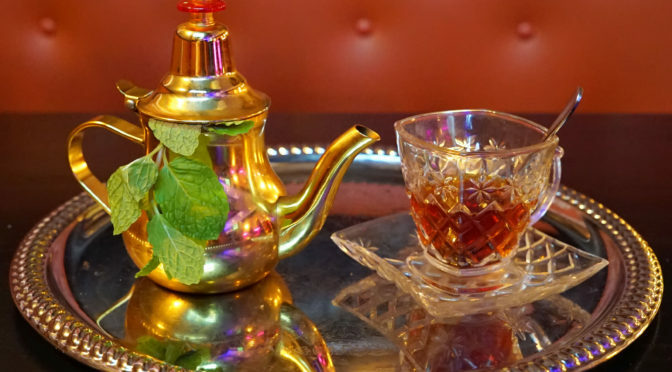 If you want something more mild, then go for the Moroccan tea, which is similar to a green tea variety. We started the meal with some baba ganoush and hummus, both of which were fantastic. I, in particular, really enjoyed the baba ganoush. I’m generally not an eggplant fan, but it was creamy, smooth and flavorful. 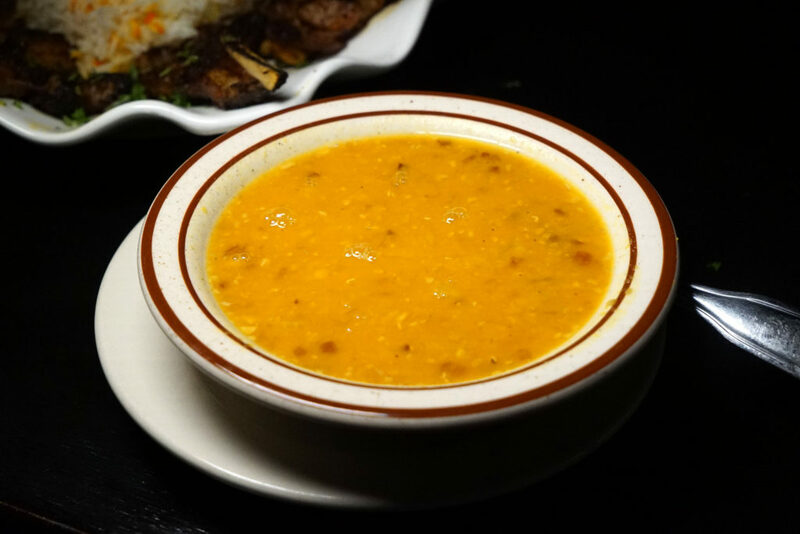 We slurped on some garlicky lentil soup as well, which was really warming on such a frigid winter night. 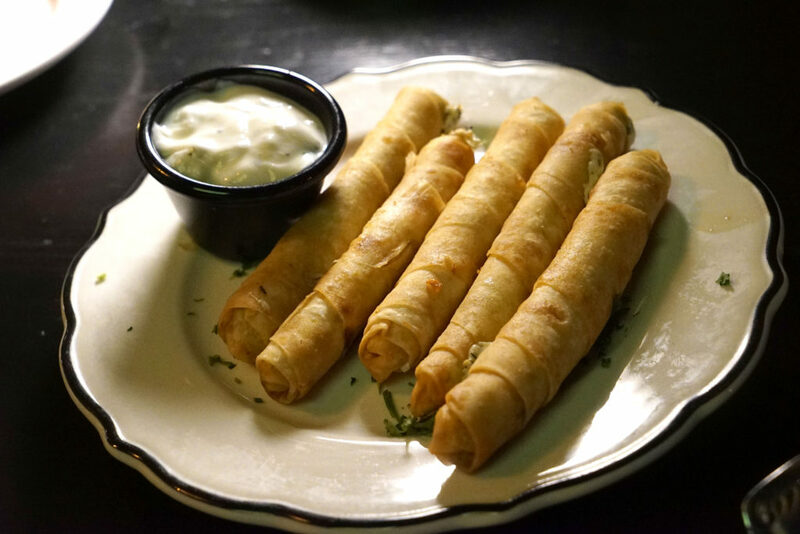 We tried a duo of these wrapped “cigar” apps too. One was filled with melty, stretchy cheese, and the other with ground, spiced chicken. Both were good but if I had to choose a favorite, it would be the cheese. 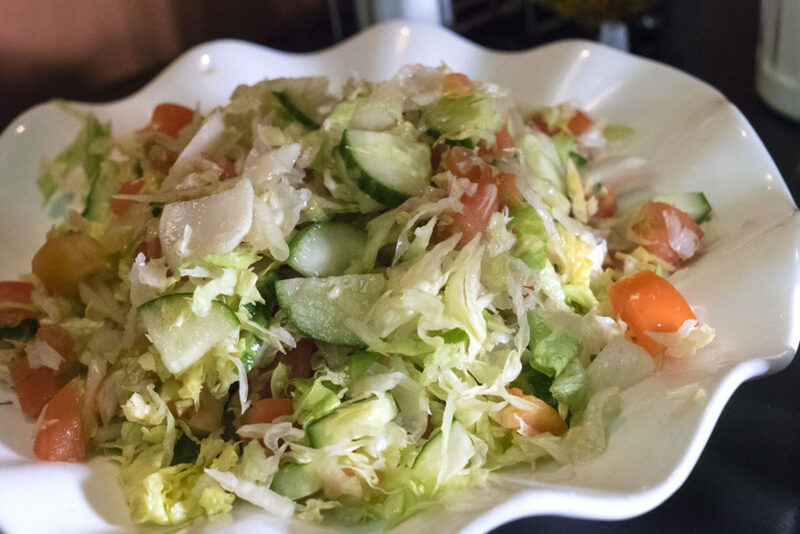 This simple chopped salad of lettuce, tomato, cukes, herbs and dressing was certainly my speed as far as salads go. I don’t like overly complicated salads with unidentifiable greens lurking within. 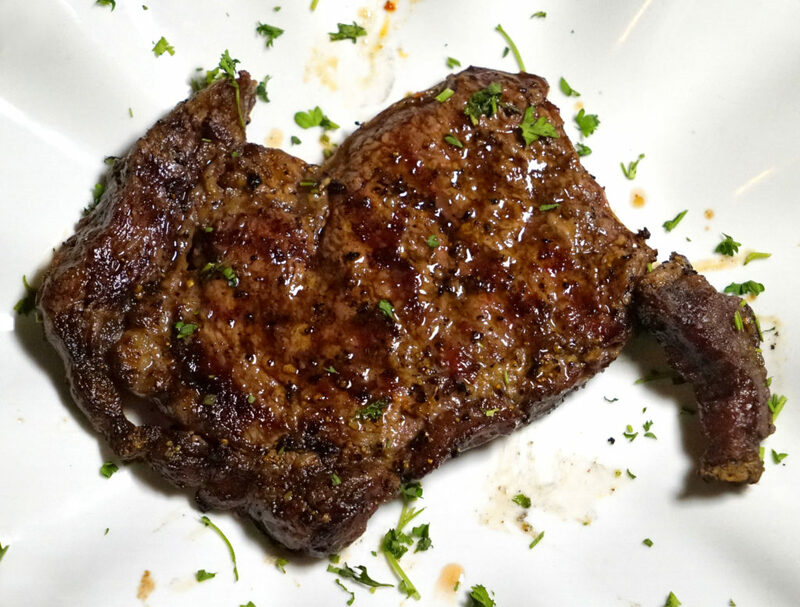 This was a thin cut boneless rib eye steak that was coated with a variety of very interesting spices – like sumac – grilled up, and then sprinkled with finishing herbs. At just $21 this is a good deal, and the robust and unique flavor profile is a great way to dress up a cut of choice beef. Ours was cooked to medium, which was appropriate for this particular cut. As it turns out, the eye portion was slightly more flavorful than the cap, which is an interesting anomaly for me to note for future reference. 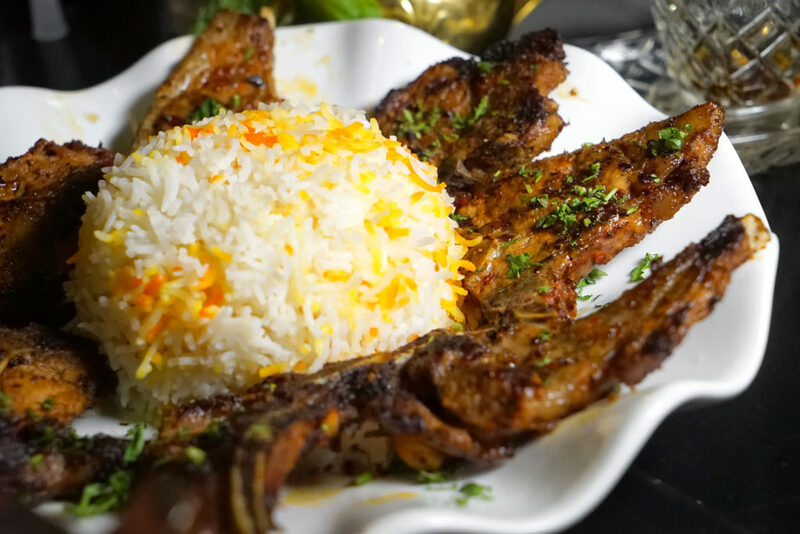 The platter contained a mix of both lamb T-bones and rib chops, all seasoned in a similar manner as the rib eye steak above, with sumac and interesting middle eastern spices. I think I actually enjoyed the lamb more than the steak! I know – blasphemy – but these guys really nailed it with the lamb. The final entree was actually my favorite of the three: shrimp tagine. You guys must think I’m losing my mind: the steak guy, not only liking the lamb better than the beef, but liking the shrimp above all! What can I say? It was perfect. 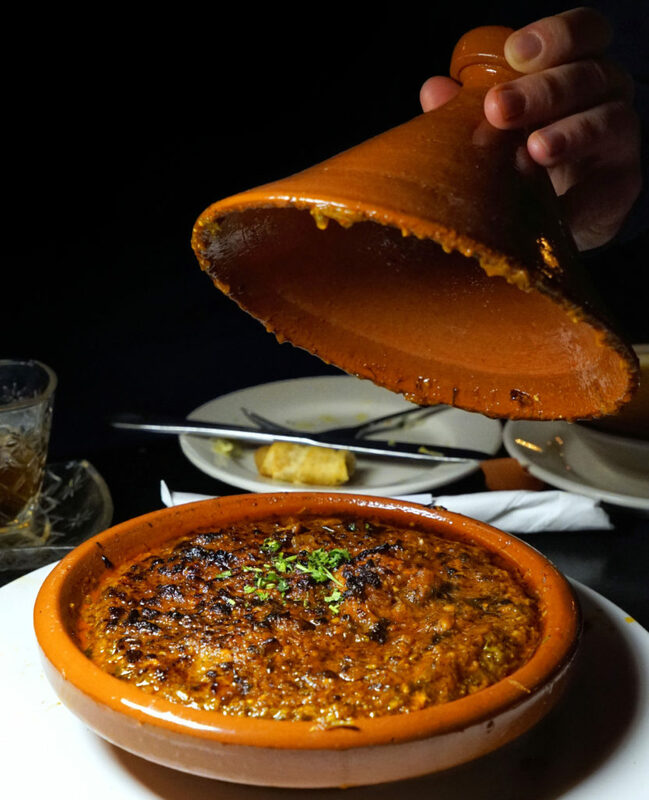 The shrimp were cooked just right, and the sauce in the tagine was a nice, thick, tomato-based stew that really hit the spot. And the rice! I usually despise rice. It’s boring! But here, it was really tasty, and I found myself just spooning it into my mouth over and over, all by itself. Dessert was fun. We did some more teas, and a trio of nice end-of-meal selections. 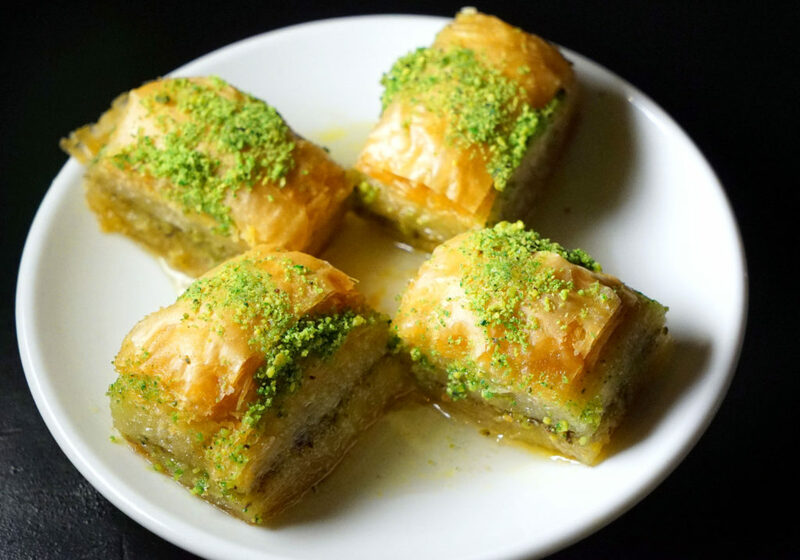 Baklava: This still retained a crunch while also benefitting from a good coating of syrup/honey and flavorings. 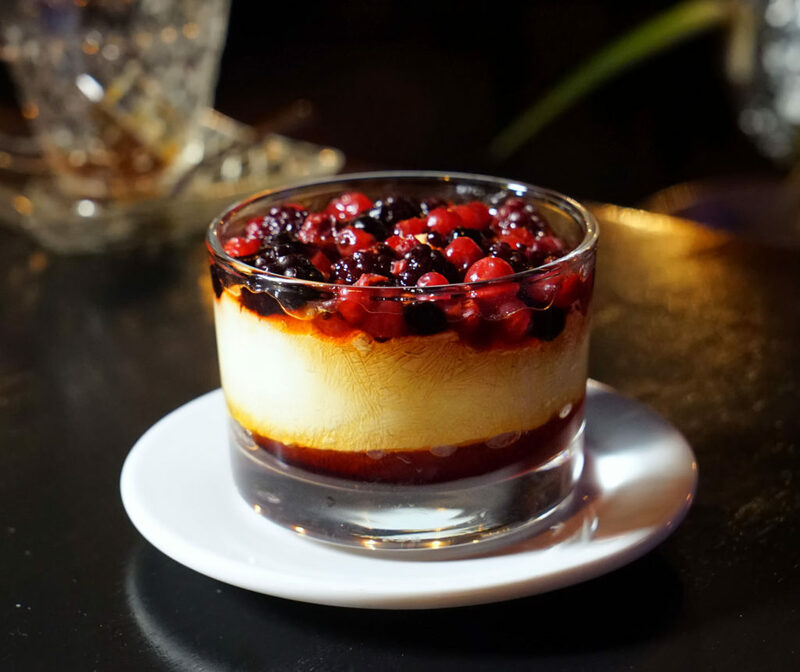 This was much lighter and fluffier than all the creme brulees I’ve had in the past. I liked it a lot! 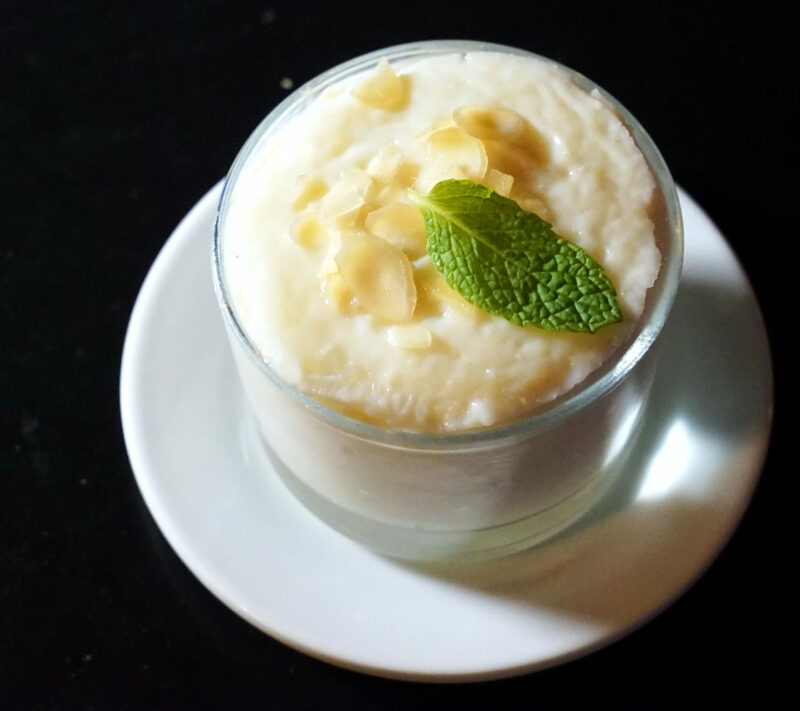 Sometimes custard can be heavy at the end of a meal, but this was the opposite. This was actually my favorite of the three, because it was the least sweet. It was just right after a good meaty meal; delicate and mild. Definitely give this place a shot; especially if you’re out in Astoria on a regular basis. Heck; from midtown it was just a quick 30 minute subway ride and walk combined. Right now they’re open from 2pm to 2am, but in the future they will be open for lunch, and eventually breakfast as well.